Our Dental Office May Be.. An Answer to a Coward’s Prayer! Although dentistry is relatively easy to obtain, our practice may be just a bit different. While dentistry is leaning more towards cosmetic dentistry we have tried to maintain a balance between what looks good, what lasts the longest and what is the most cost effective. Special care is given to patients who hate going to the dentist! A lot of Dr. Burton's patients go into the mission field and they will not be able to get routine dental care for years. Depending on the treatment Dr. Burton wants to put materials in that will last the longest and have less chance of failure. Dr. Burton realizes that dentistry can be expensive but she prides herself on putting quality materials, using techniques that give the teeth a smooth feeling and not shed floss as well as serve the patient well. Each patient she treats like one of her family. She takes the time to explain procedures and options that may be available. OFFICE HOURS: Mon,Wed, and Thurs. 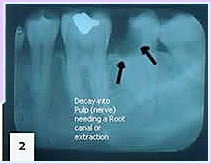 When a new patient comes to her practice she wants to do a thorough exam with diagnostic films to: look for decay in-between the teeth and under old fillings, check for various stages of gum and bone disease, as well as any lesions or tumors. From there she develops a personal treatment plan. One phase is for immediate dental care and the other phase for treatment in the near future. By approaching dental treatment in this fashion, the patient can easily understand their situation and that results in less stress about coming to the dentist. It also keeps the cost down. Dr. Burton sees all ages of patients and finds those that "dread" going to the dentist as an opportunity to comfort and provide a calmness that will change that dreaded feeling. When needed Dr. Burton also uses a referral system for those patients needing specialized care. She treats patients as she would want to be treated or her family. Her practice sometimes is referred to as the "country store" feeling. As a patient you become part of her family. It is a special place. It is more than just an office who does dental treatment. 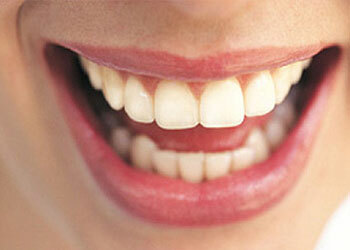 Zoom your Patients to a whiter smile! To this Bonding & Crowns! You can look like this!